Welcome to the 6th Annual Indie of the Year Awards, a celebration of the years finest indie games chosen by you and us. For the next 4 weeks it is up to you to vote for your favorite indie games so that they may make the top 100 which will be announced on the 11th of December. Last year we saw the popular free-to-win MMO Robocraft take out first place, followed with the tactical shooter Insurgency providing a noble runner up and Five Night's at Freddy's 1 & 2 finishing third on the podium. Remember every year on top of the players choice which ultimately decides our top 10 we also run an editor's choice where the folks at IndieDB choose our ten standout projects from across the board. 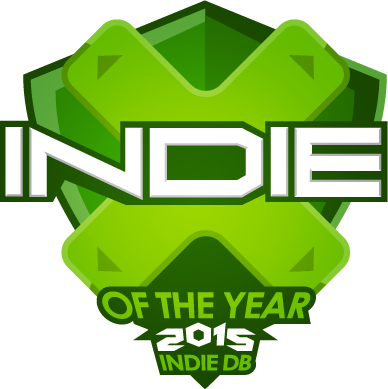 It's been a fantastic year for indie games and we look forward to counting your votes!